German Chancellor Angela Merkel said that cooperation with Russia is needed to solve a number of major international issues. GARMISCH-PARTENKIRCHEN (Germany) (Sputnik) – Cooperation with Russia is needed to solve a number of major international issues, German Chancellor Angela Merkel said Monday after a meeting with other G7 leaders. "We carry out negotiations in the E3+3, or P5+1 format on the Iranian nuclear program. Russia is our long-term partner here. 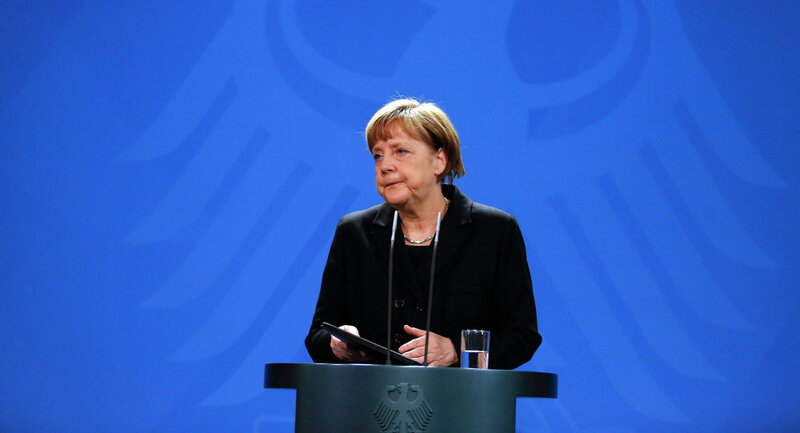 This format shows that global international crises can be solved with the participation of Russia, and Russia’s participation is necessary, for example, to solve the Syrian crisis," Merkel told reporters. The German leader said ahead of the 41st Group of Seven summit that its leaders will discuss Russia's possible inclusion in the format at the Bavarian Elmau Castle outside Munich. Russia's participation in what has been known as the G8 was suspended last March over Moscow's alleged involvement in the Ukrainian conflict. Russian Foreign Minister Sergei Lavrov pointed out that, given the informal nature of the G7 club, Moscow cannot be excluded from it. Despite an emphasis at the two-day summit to extend anti-Russia sanctions, a number of Western leaders, Merkel among them, have reiterated Russia's importance in the ongoing international conflict-resolution talks. Russia is one of a group of six world powers involved in talks on Iran's disputed nuclear program. It is also a key negotiating party to the UN-backed Syrian conference in Geneva. On Ukraine, Russia is among the four countries that oversaw the signing of crisis settlement agreements in Minsk, Belarus in February.